With continued interest in environmentally friendly products and practices, it should be no surprise that many wood flooring manufacturers are also looking for products and suppliers that meet their customer’s expectations. Understandably, the notion of “green” wood carries several connotations for the woodworking and wood flooring expert. There are different types of eco-friendly products available on the market today. What are the options in sustainable resources and do they truly constitute responsible environmental stewardship over time? 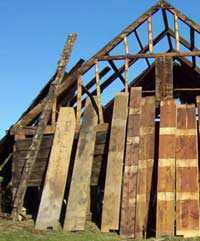 A sometimes overlooked source for eco-friendly wood is in reclaimed lumber. Existing buildings that are going to be rebuilt or demolished, or even trees that have to be removed for a variety of reasons (except disease) can be good sources for wood that has already been processed and can be repurposed without further impact on the environment. Bamboo is becoming increasingly popular as a flooring product. Actually a grass and not a wood, bamboo grows quickly with very little need for pesticides or fertilizers. Once harvested, bamboo regrows from its root and can be re-harvested in as little as 3-5 years. It can be extremely durable and a good choice for most areas of a home or business. Where it can be problematic, however, is in the by-products of the manufacturing process which are sometimes dumped into local water supplies. Bamboo, too, can vary greatly in the quality, density, and consistency of the end product. Cork also regenerates quickly and is unique in the sense that the tree doesn’t actually have to be felled to harvest the cork. What is produced as the “wood” is actually the tree bark, removed and allowed to grow again. Coconut, too, can be harvested in just six years but is not used as readily as some tree woods because the economic reality is that each tree can produce fruit for up to 80 years. Several other trees can be harvested in a relatively short amount of time, but again, the manufacturer’s process should also be taken into the equation when looking for a truly eco-friendly flooring product. A series of certification processes and procedures are available to be sure that your flooring manufacturer is actually practicing environmentally responsible choices both in growing and harvesting their lumber. But there is another side to the question of environmentally friendly flooring. 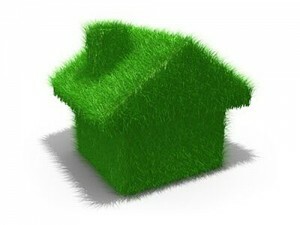 What benefit is it to the environment if your eco-friendly flooring fails due to a moisture-related problem? The truth is it’s simply not worth investing in eco-friendly hardwood from sustainable sources if the wood flooring is not properly installed, finished and maintained. Any proper installation means a thorough and complete understanding of the moisture conditions in the subfloor and the flooring itself. Various wood sources will have different tendencies to interact with moisture, and sources that include woods from potentially mixed sources – like batches of reclaimed hardwood – will need to be measured thoroughly and accurately to get a picture of the true moisture conditions. The subfloor should also be monitored to ensure proper adhesion for glue-down flooring. Once the flooring is installed, applying the finish also requires sensitivity to moisture conditions, particularly when repeat coating a waterborne finish. Ambient air humidity and the drying finish itself can slow the drying process and reapplication times. An improperly applied finish will leave the wood susceptible to moisture absorption. And lastly, once the hardwood is installed and finished, proper maintenance is also part of keeping that beautiful floor in top condition. Clean the floor according to the manufacturer’s guidelines, don’t let excess moisture collect on the surface, and protect it from unnecessary damage. With the wonderful variety of eco-friendly and sustainable flooring options available today, it will only increase your investment in the future to shop wisely, install carefully and care properly for the floor today. This is amazing. Bamboo and cork can do such wonderful help in protecting the environment. It was a great knowledge about these wonderful things that help the environment. The cautions are also explained pretty well. Thank you so much for the great knowledge shared.